Dr. Ajay Kaul is a highly experienced and qualified Cardiac Surgeon, Heis a distinguished name in the field of Cardiac Surgery. He pursued his Master's degree in Cardiothoracic & Vascular Surgery from Mumbai University. He holds a number of Fellowships in Cardiac Surgery, Cardiac Transplant, and Minimally Invasive Surgery, from eminent international institutions, such as Royal Prince Alfred Hospital (Sydney), Royal Melbourne Children's Hospital (Melbourne), Hannover Medical School (Germany), and Leipzig Cardiac Centre (Germany). His surgical experience includes 10,000 Cardiac Operations, with 4000 Total Arterial Coronary Bypass Surgeries. 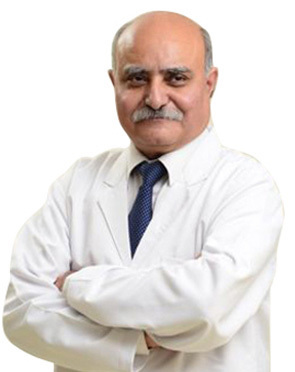 Considered a national expert in the field of Cardiac Surgery, Dr. Kaul has served various prestigious hospitals, in India and abroad, such as B.M. Birla Heart Research Centre (Kolkata), Institute of Medical Sciences (Varanasi), Hannover Medical School (Germany) Bombay Hospital, and L.M. Tilak Medical College & Sion Hospital (Mumbai). He has to his credit over 70 publications in national and international journals. His special interest lies in Off-pump Coronary artery surgery (OPCAB), Off-pump Total Arterial Revascularization, Paediatric cardiac surgery, Mitral Valve Repair, Aortic Root Replacement & Aortic Aneurysm surgery.He is also a member of CSI and Association of Cardiothoracic Surgery of India. MBBS from Mumbai University, India. MS (Cardiothoracic & Vascular surgery), Mumbai University, India. Fellowship in Cardiac Transplant from Hannover Medical School, Germany. 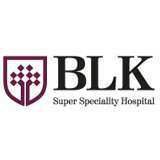 Fellowship in Adult Cardiac Surgery from Royal Prince Alfred Hospital, Sydney, Australia. Fellowship in Pediatric Cardiac Surgery from Royal Melbourne Children's Hospital, Melbourne. Dr. Kaul performs 14 different procedures. Click on a procedure name to see more details and to view doctors for that specialty.